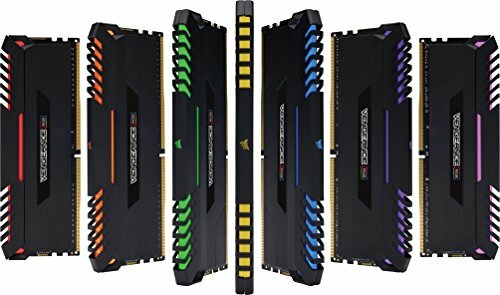 RAM is Ram sure...But these are RGB!!! The RGB is really nice. Just wish each individual leds could be changed. It's also pretty fast. from completed build TRANSLTR - Ryzen 7, GTX 1060, RGB build!!! Looks amazing and has great timings. LINK software is useful but some RGB modes do not work properly. The RGB is very bright and stands out. Its a very solid built RAM and 2666hz is all i needed. They definitely look better than in photos. Some light leaks through gaps.